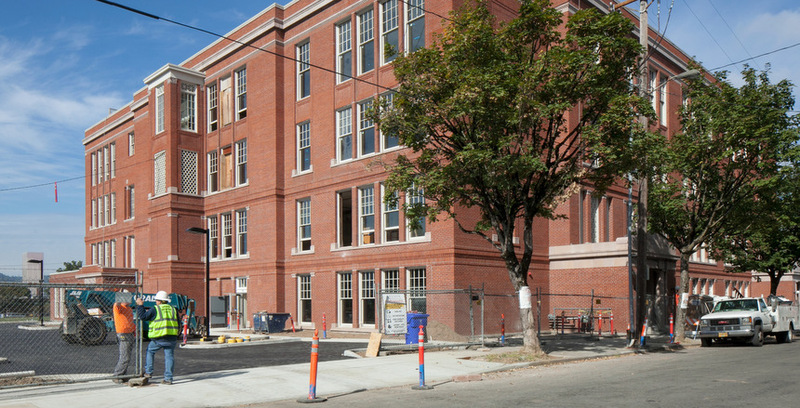 After many years of advocating for the reuse of long-vacant Washington High School, Venerable purchased the 113,500 sf structure in October 2013. 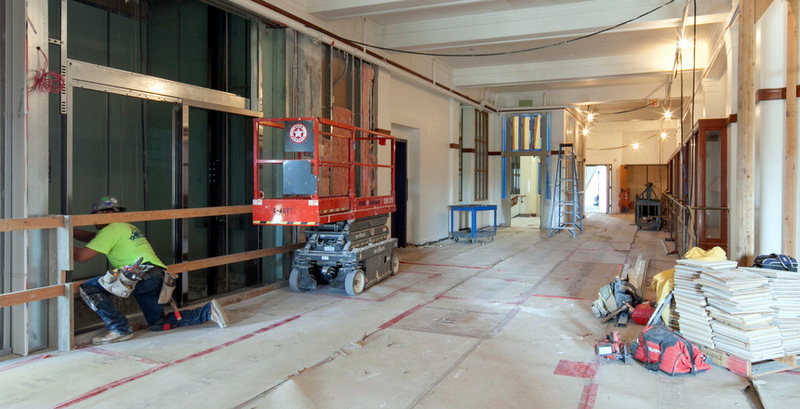 Many developers explored the feasibility of renovating this building over the past decade, yet the building’s inefficiency with 18-foot-wide corridors and a central auditorium were a major barrier. Venerable’s goal in rehabilitating the property is to return it to an active use that energizes SE Stark Street and the greater Buckman Neighborhood. We focused on preserving the building’s historic character both inside and out. Few could disagree that this building is a true architectural gem. The high school’s primary, west-facing elevation offers an impressive expression of its Classical Revival style. From a distance, one can see the entry pavilion’s frieze that is inscribed with the words “Washington High School” and, if you look closely, you can see that the building’s cornice is punctuated by lion heads. Our restoration work repaired the large scar on the west elevation where a non-original sky bridge previously connected the building to another campus structure. The interior of the building is also filled with significant historic character. 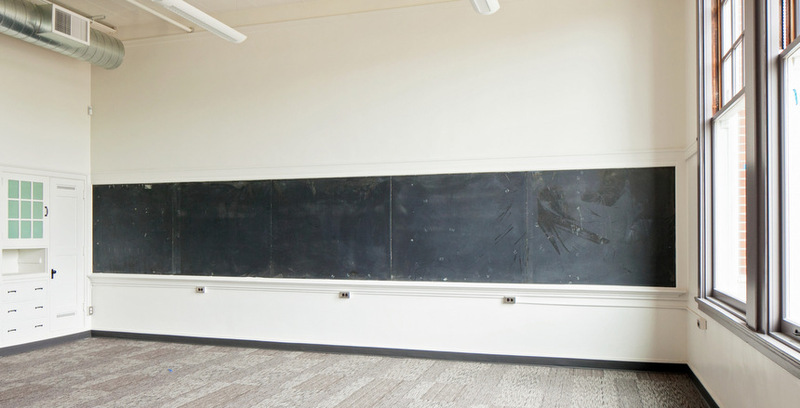 Light-filled classrooms feature over-sized windows, old chalkboards, IBM clocks, and vintage built-ins. 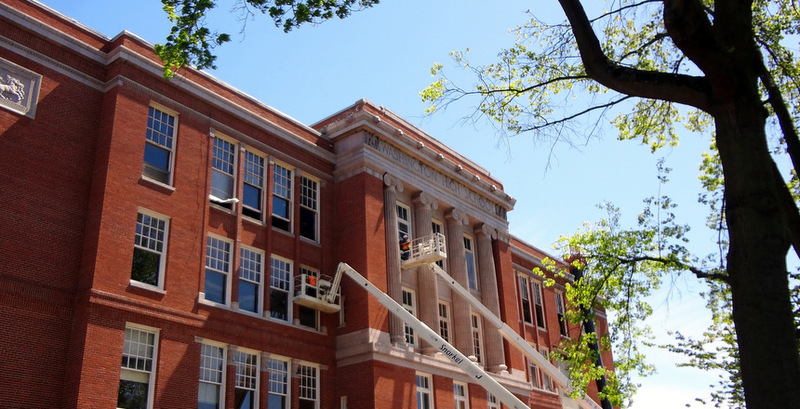 We retained and celebrated the special features that tell the story of this old high school building. 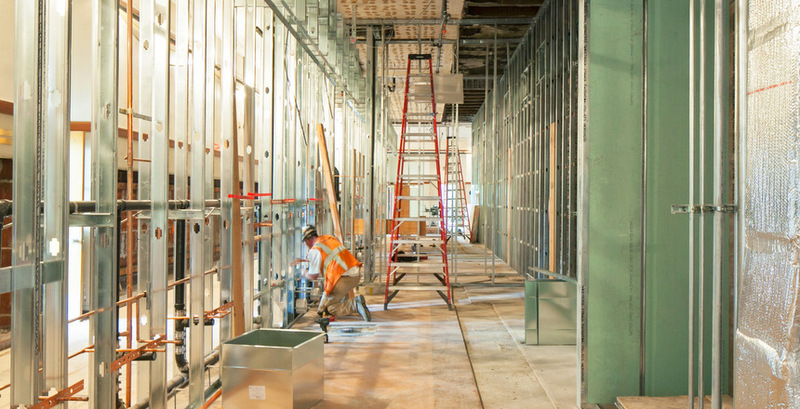 The project features over 23,000 square feet of ground-floor retail and 50,000 square feet of creative office. The retail space utilizes the existing infrastructure to give it a loft-style feel and will boast significant natural light, high ceilings, and concrete floors. Creative/flex offices range in square footage from 268 SF to full-floor build-outs. Please visit the Washington High School website for more information about the project and leasing opportunities.